LED is everywhere! Lighting up theaters, restaurants, resorts, retail stores, offices, schools, parking lots, car dealerships, gyms, bars, night clubs, homes nand many other facilities have found amazing advantages when using LED lighting solutions from Etrenzik. Our creative LED lighting solutions are diverse, energy efficient, and have a variety of different colorful options to bring your business to life with the beauty of light. LED lighting can be used to set the mood in your night club or to put a spotlight on your products in a number of different settings. LED can last up to 6 times longer than other lighting types, so they will not have to be replaced as often. The longer lifespan means fewer resources to manufacture and pack the lighting products, less transportation to distribute the lights, and lower carbon emissions. LED light are up to 80% more efficient than other types of lighting. Nearly 95% of the energy is converted into light, while only 5% is wasted as heat. This is in contrast to traditional lights, which only covert about 5% to light, with the remaining 95% being lost to heat wastage. 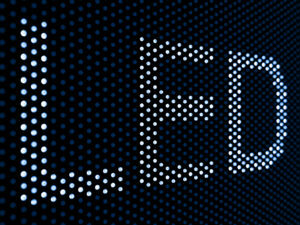 LED lights do not contain any toxic elements, unlike their counterparts. LED lights produce better light distribution, so less lighting is needed to obtain desired brightness levels. LED will affect your HVAC/Air Conditioning usage due to them being cooler. The cooler brighter light will cool the room, making the use of your AC less.